For the love of birthdays...the word game. Birthdays, the celebration of ones grand entrance into the world. Another year older, another year further along on this journey, another day to celebrate the beauty of YOU. Birthdays are amongst a few of my absolute favorite things in life. I love the idea of celebrating loved ones and dedicating an entire day to making those we care most about feel loved, valued and celebrated. Life is moving...quickly. 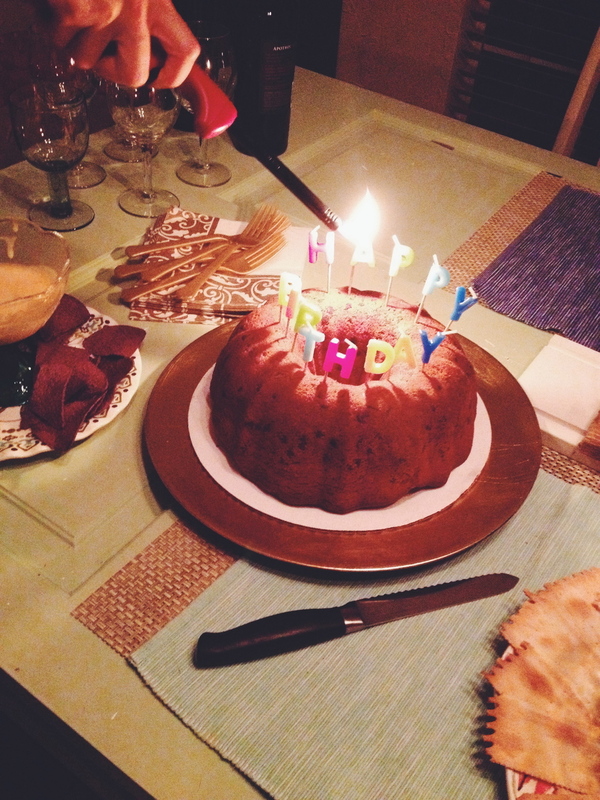 Birthdays cause us to slow down and intentionally acknowledge our gratitude for one another. As I have grown older, I have realized who 'my people' are. Those who fully know me, and whom I fully know. Those who have walked through the valley alongside me, who have seen me at my greatest and worst. Those who love, encourage, and stand by me...through it all. I consider these relationships to be life's greatest gift - completely worthy of celebrating every day! Big parties are great, and can be a lot of fun, but this past year when celebrating birthdays, I have seen the beauty in gathering together with the few. Sitting around the table, intentionally celebrating someone and reflecting the beauty in that person through the details. 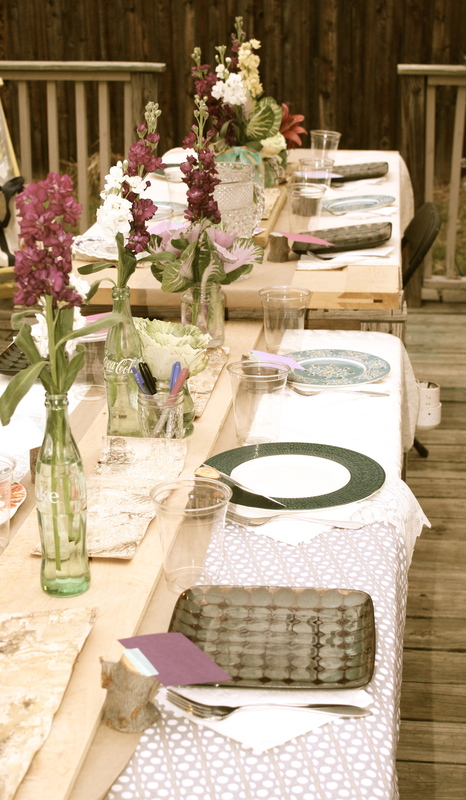 From the food we pass around the table to the flowers, to the color scheme and place cards - to embody someone through a gathering is something special! True celebration is to gather around with those who care most for you and whom you are fully known by. It's sitting in the presence of one another...away from the distractions of life, absent from the i-phone and altogether present. To laugh, share stories, encourage and love...birthdays are a chance to reflect on the year past and look forward to the year ahead. To mourn, celebrate, express gratitude for all that we've gained from the year behind us. Sometimes birthdays are the catalyst for what's next, a separation from life's toughest trials leading into a new chapter. Another year, a fresh start, an opportunity to see life through a new lens of renewed hope! About a year ago, we threw a birthday dinner for one of my closest friends, Courtney. Courtney is a rare breed, one of 'my people,' a lover, giver and altogether beautiful soul. She gives without expecting anything in return and loves people in a way that is deep, genuine and real. When Courtney's birthday rolled around, we wanted to celebrate her in a special way. We could have gathered lots of acquaintances and had a big ol' throw down, but just the thought of that sounded exhausting to me. We decided to gather Courtney's closest friends, cook dinner, drink great wine, sit under the stars and dine around the table in our backyard. I wanted to take time to intentionally tell Courtney what she means to all of us. Now, I am not the typical game planner at parties, if asked to plan a baby shower game, I will say no, but for some reason, I thought we should play a game this evening. I am a lover of words. I believe there is not only beauty in words, but power. Words have the power to penetrate deep down to the soul. The written word is powerful and the spoken word is heartfelt. I wanted everyone to write down one word they would use to describe Courtney. One word that encompassed who she was to them personally. Cards were placed on the table and everyone was asked to write down the word they chose on the card. I then collected the cards, read them aloud and asked Courtney to guess who wrote which word. She was good, she actually guessed them all on the first try! Next, we went around the table and each person explained to Courtney why they chose that word. Words like peaceful, gentle, patient, 'laughy'. It was beautiful. These words collectively described her...some of them she may not have believed were true about herself, but for a dear friend to look you in the eye and tell you why this word is true to who you are has the ability to bring life, value and affirmation to your soul! To sum up all that someone means to you in one word can can be a challenge, but so life-giving! The evening was beautiful, a true celebration of Courtney. 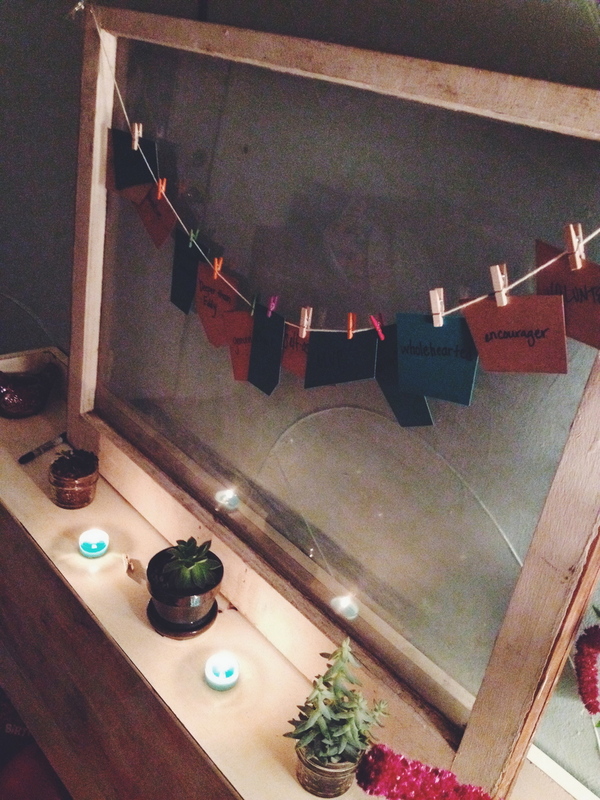 It was this gathering that marked the shift in the way I want to celebrate people. Since Courtney's birthday, this little game which we now call 'the word game' has made its way into every birthday celebration since. The word game has been passed on to others and incorporated into other celebrations of whom I don't even know. 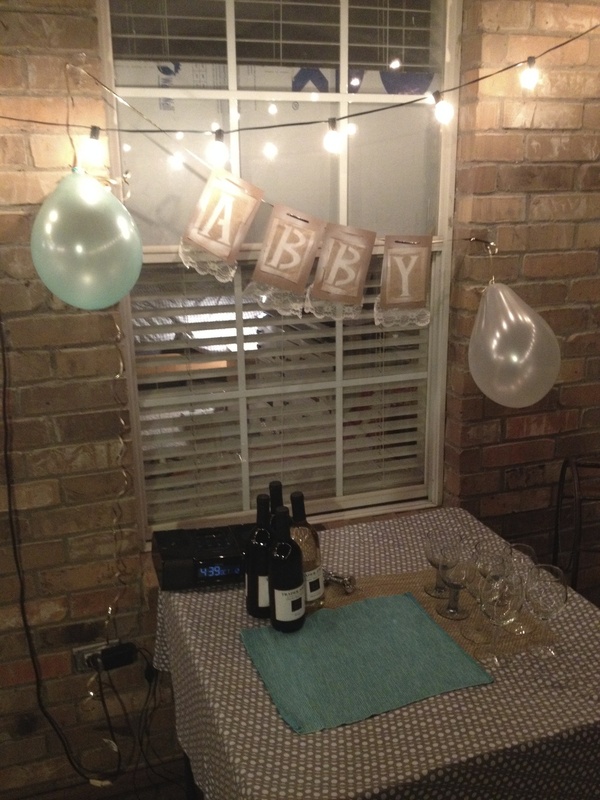 My hope is that you might incorporate some version of the word game in your next celebration. That you might take a moment to look people in the eye and tell them what they mean to you - personally. That word might be the game changer for them. That one word which might be so obvious to you, might be just what they need to hear and believe to be true about them personally. Your words need to be spoken, heard, received and believed by those you fully know, love and believe in. Speak love. Someone needs to hear it. Take time to celebrate the ones you love with intention. Count birthdays as a privilege - you get to bring value to someone else! It's not always a tangible gift that tells someone you care, often the greatest of gifts are those which can't be purchased but those given from the heart, and received by the soul. Those are the gifts which can never be replaced and more importantly - have the power to last a lifetime.